I’m on a mission. I’m determined to help my daughter learn self-regulation skills to feel successful in her life. After years of struggle trying to figure out how to help us both manage our big emotions, we’re turning mainly to the simplest practice: our breath. We’re practicing various breathing exercises for kids together to help her to calm and focus her mind and body. 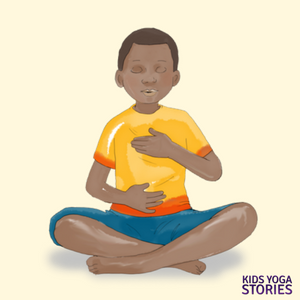 Below you’ll find five breathing exercises that you can try with your children in your home, classroom, or studio. Use these breathing techniques as a springboard to encourage your child’s creativity. My daughter teaches me new breaths all the time, using her imagination. This includes the Eagle Breath, which you’ll find in our Breathing Cards for Kids PDF Download. Choose a standing or comfortable upright position such as sitting in a chair, sitting cross-legged, or sitting on your heels. Close your eyes if that is comfortable and begin to tune in to the sound of your breathing. Take a deep breath in then slowly exhale for five counts. On your next exhale, think of filling yourself with love. Imagine the color red enveloping your body. On the next exhale, think of sending love and kindness to someone close to you. Then as you exhale, send loving kindness to someone you are having a difficult relationship with at the moment. Then send love and kindness out to the world around you: the animals, the trees, your neighbors, and your city. Lastly, send out love and kindness to the world. Finish your loving kindness breath by coming back to breathing naturally. When you are ready, open your eyes. This breath is great for Valentine’s Day celebrations or when you need to slow down to express more love to yourself and those around you. Choose a standing or comfortable upright sitting position such as sitting in a chair, sitting cross-legged, or sitting on your heels. Close your eyes if that is comfortable and begin to tune in to the sound of your breath. Imagine you are holding a flower. Imagine the color and smell of that flower. Then take in a deep breath, pretending to smell that flower. Then exhale and pretend to blow the flower petals. Repeat the cycle of a strong inhale and gentle exhale for a couple of minutes, if possible. You could pretend to smell a different flower each time you inhale. You could also imagine yourself sitting in a meadow of fresh flowers. 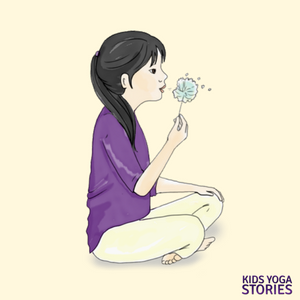 This flower breath is an easy way to help children become aware of their breath. You could also pretend to smell hot chocolate then blow the hot chocolate to cool it down. During fall, you could pretend to smell the fall air (inhale) and then blow leaves (exhale). Stand tall in Mountain Pose and take a few deep breaths. Then take your feet mat-width apart (a little wider than hip-width). Clasp your hands together in front of your body. Take a long breath in while raising your hands above your head. Then, on a vigorous exhale with your mouth open, forcefully take your hands down between your legs. Hang your head and completely let go of all the tension in your body. Close your eyes, if that feels comfortable, and repeat the steps: long exhale with hands overhead, followed by vigorous exhale while bringing your hands down between your legs. Pretend to be a woodchopper cutting a log for a campfire. 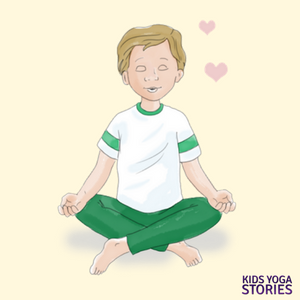 Repeat this breathing technique a few times, allowing the children to find their own rhythm and become aware of their breath. Stand tall in Mountain Pose again and come back to breathing naturally. 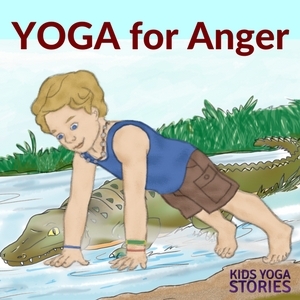 Let the children feel the effects of this energizing breathing technique. Instead of a woodchopper, you could pretend to be an elephant drinking water from a lake with your trunk (clasped hands) then swinging your trunk over your head to spray water over your back. This is a great breathing exercise for releasing stress and extra energy. To practice bee breath, come to sitting comfortably with a tall spine and your shoulders back. Close your eyes or gaze gently down in front of you. Take a few deep breaths to calm your mind and body. Come to the present moment. Breathe in and out through your nose with your mouth closed. As you exhale, keep your mouth closed and make a long “mmm” sound, pretending to buzz like a bee around the garden. Then inhale through your nose, keeping your mouth closed. Repeat the bee humming sound on the next exhale. Continue in this way with an extended inhale, followed by a humming exhale for a few minutes or as long as it feels comfortable. When you are ready, open your eyes and breathe naturally. Notice if you feel any differently after practicing bee breath. You could also cup your hands over your ears to intensify the “mmm” sound. This one is also known as “yogic breathing.” To practice this deep belly breath, choose a comfortable upright position such as sitting in a chair, sitting cross-legged, or sitting on your heels. Or come to lying on your back in a resting position. Place your right hand on your belly and your left hand on your chest. Take a deep breath in for four counts then exhale through your nose for four counts, with your lips closed. Feel the rise and fall of your chest and belly. If you’re on your back, you could place an object, like a stuffed animal, on your belly to help feel (and see) the rise and fall of your belly. Do this deep belly breathing for a few minutes. 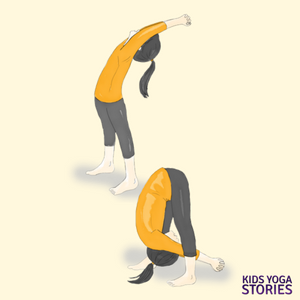 Give your child a few times to get comfortable with this style of breathing. You could use a Hoberman sphere as a visual cue to show your children the inhaling and exhaling action. Children can think of different things that they are grateful for during each inhale and exhale. Which are your favorite breathing techniques? Tell us in the comments below! Don’t forget to breathe! 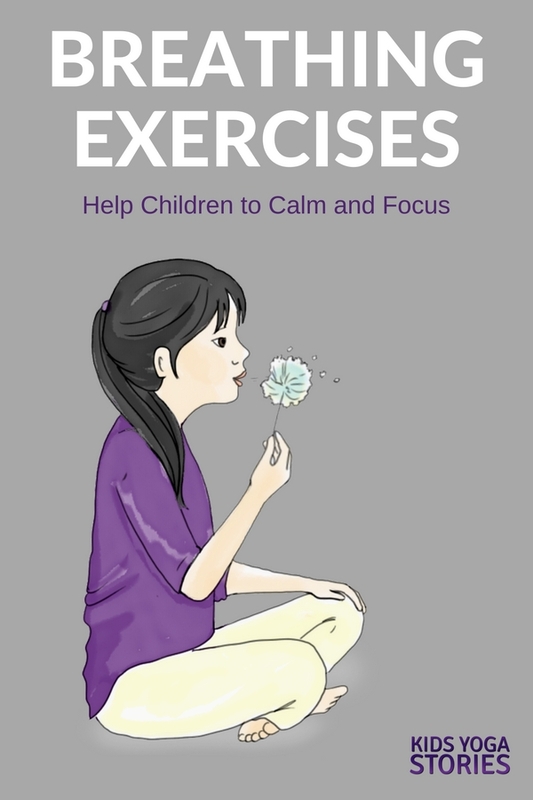 Help children to calm down and focus! Practice any one of these forty breathing techniques to release stress and tension. Help your children feel calm and focused with breathing exercises like Balloon Breath, Bee Breath, and Bunny Breath. 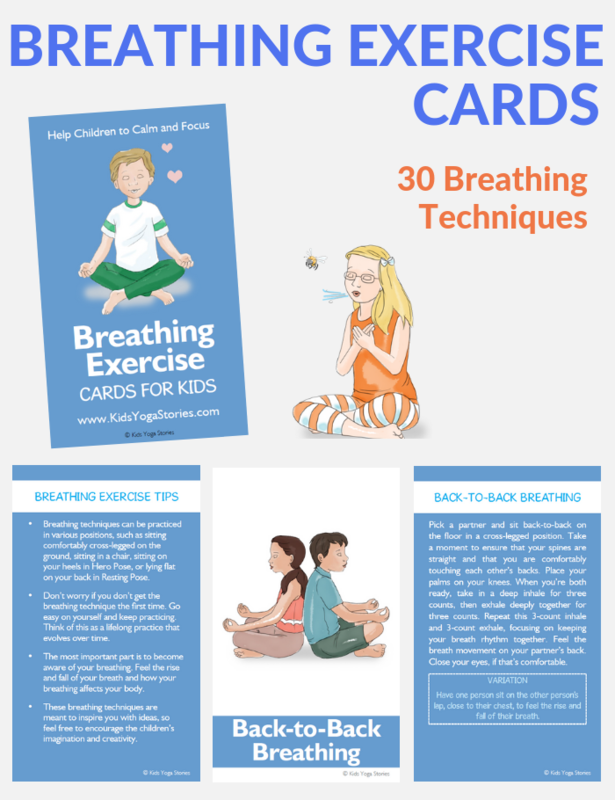 Download these Breathing Exercise Cards (66 cards in total) to use in your home, classroom, or studio. Index, Breathing Exercise Tips, and Breath Instructions are included. Recommended ages: 4+. 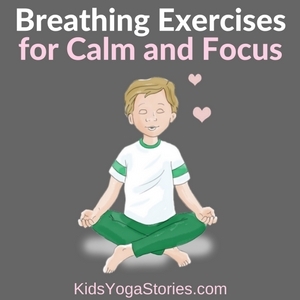 Purchase the Breathing Exercise Cards for Kids PDF Download. Explore 25 unique ways to help children slow down! 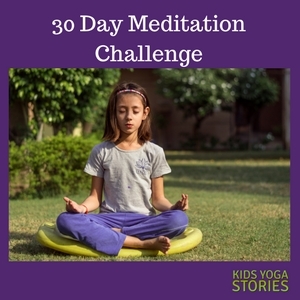 Help the children in your life slow down by practicing these simple and effective mindfulness exercises. This mindfulness deck is divided into four categories that you can chose from: breath, movement, sensory, and guided imagery. Download these 60 digital cards to bring simple mindfulness practices to your home, classroom, or studio. Includes an index card, mindfulness activity tips, 25 Mindfulness cards with illustrations, and 25 corresponding description cards. The kids are multicultural from various countries. Instantly download, print, and practice. 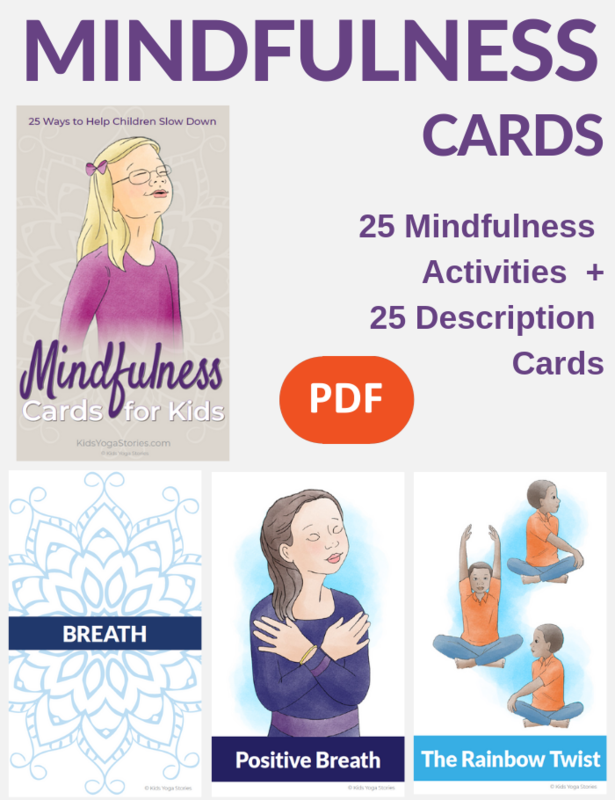 Download you Mindfulness Cards for Kids here.